Can you confirm these amateur observations of Egernia cunninghami? Distribution Australia (New South Wales, Queensland, South Australia, Victoria), elevation above 1000 m.
Type locality: Western Australia [in error], eastern Australia in lat. 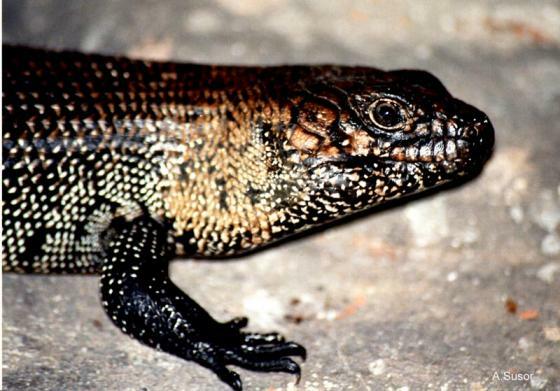 29° S.
Reproduction Viviparous. 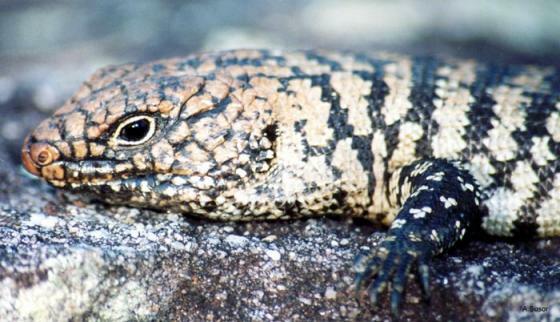 This is one of the few reptile species in which monogamy has been observed (Chapple 2003). 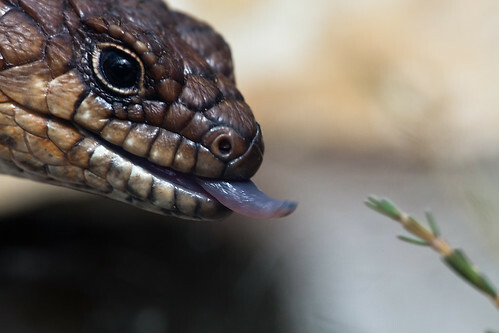 Type species: Tiliqua cunninghami GRAY 1832 is the type species of the genus Egernia GRAY 1838. 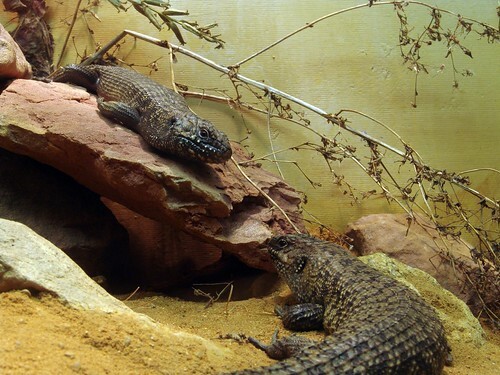 Deﬁnition (genus): The clade comprising Egernia cunninghami Gray, 1838, and all species that share a more recent common ancestor with Egernia cunninghami than with Tiliqua scincoides, Liopholis whitii, Lissolepis luctuosa or Bellatorias major. 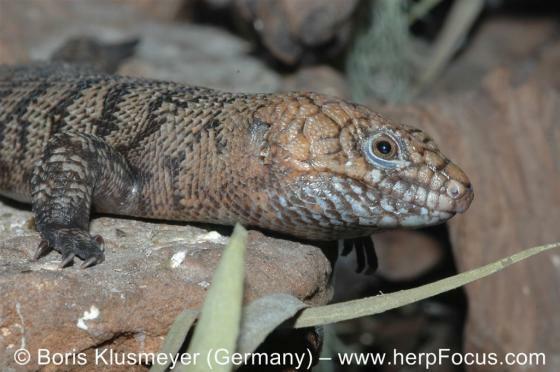 A genus of medium to large Egernia group skinks; usually dorsoventrally compressed, but with a more stout habitus in E. kingii and E. rugosa; MBSR 24–46; dorsal scales smooth, striated, multi-keeled and/or with long spine; postnarial groove (if present) on nasal scale in contact with first supralabial; parietals separated by interparietal; subocular scale row incomplete; eyes relatively small; eyelid colour similar to neighbouring scales [from Gardner et al. 2008]. 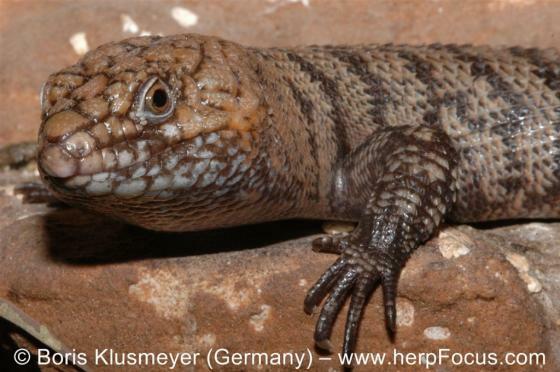 Description: A genus of Egernia Group skinks, medium sized to large lizards [adult snout–vent length (SVL) 100–240 mm]; body squarish in the two larger species (kingii and rugosa) but head and body more or less dorsoventrally compressed in most; midbody scales in 24–46 rows, dorsals varying between species, from smooth, to striate to multi-keeled to spinose; nasal scale with postnarial groove running to the ﬁrst supralabial; subocular scale row incomplete; eyes relatively small, the eyelids similarly coloured to the adjacent scales. Etymology Named after Allan Cunningham (1791-1839), a British explorer and botanist. He is buried in the Royal Botanic Gardens, Sydney. See Beolens et al. 2011: 60 for more details. Gardner, M.G., Pearson, S.K., Johnston, G.R., and Schwarz, M.P. 2015. 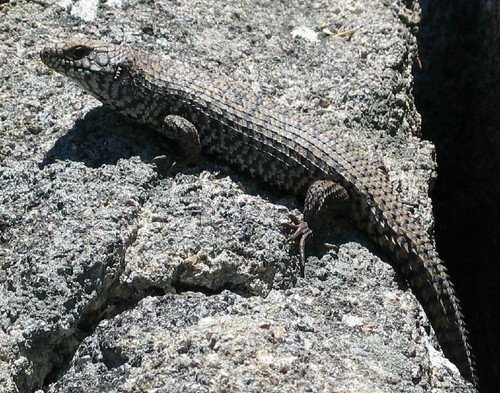 Group living in squamate reptiles: a review of evidence for stable aggregations. Biol. Rev.